We would like to let our readers know that the previously announced feature discussing the recent revival of Bareknuckle Boxing scheduled for Friday, June 29th will now be released and kickoff our July 2018 schedule on Friday, July 13th. We apologize for the delay. Stay tuned. "And That's The Boxing Truth." Press Release: June 25, 2018 by Dragon Fire Boxing - WBA Oceania, IBF International & IBF Pan Pacific Light Heavyweight Champion Reagan “The President” Dessaix has signed a multi-year managerial deal with the Dragon Fire Boxing stable. “I feel very privileged to have such a good & experienced management team with Tony Tolj, Angelo Hyder at Dragon Fire Boxing managing my boxing career. They’ve put so much time & effort in the past couple of fights I have been with them, looking forward to seeing what the future holds from here on in. Without all my fans, sponsors & ongoing support I wouldn’t be in the position I am today if it wasn’t for them. I couldn’t thank them enough for all the ongoing support along my boxing journey so far! “The Team at Dragon Fire Boxing are very excited for the future with Reagan Dessaix, 14 wins with the sole loss at picking up WBA & IBF Regional Title, the sky is the limit for the kid at 21 years of age. I always working together with just good people and Reagan and his father Clem are a class act. He should be slipping into the World ratings very soon. Really looking forward to see the progression of “The President” Reagan Dessaix. Material Courtesy of Dragon Fire Boxing/ Photo Courtesy of: Tony Tolj Used with permission. Is Spence-Crawford The Next “Super Fight” In The Welterweight Division? As the sport of Boxing enters the summer of 2018, the focus has started to develop on what major fights might be made for later in the year. Of course, most would say that “The Fight” of 2018 has already been made, the highly anticipated rematch between undefeated unified Middleweight world champion Gennady Golovkin and Saul “Canelo” Alvarez. 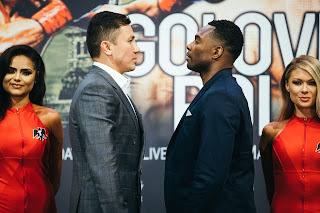 While the circumstances of the first encounter between Golovkin and Alvarez as well as the saga that has led to the rematch being signed, cancelled and re-signed is an ongoing story that has been present here at The Boxing Truth® as well as throughout the entire sport, there are other possible encounters that could be made and if they are made frankly deserve as much attention as Golovkin-Alvarez. The month of June has featured two world championship bouts taking place in Boxing’s 147lb. Welterweight division that produced what some might call logical outcomes, but in the process also developed a possibility of what could be the next “Super Fight” in a division rich in historic encounters that have carried such a label. The first of these two world championship fights took place on June 9th at the MGM Grand Garden Arena in Las Vegas, NV. Undefeated WBO Welterweight world champion Jeff Horn made the second defense of his crown against undefeated former two-division world champion Terence Crawford, who was attempting to win a world championship in a third weight class. In previewing this fight, I expressed my view that the story of the fight would center on whether Horn would be able to effectively disrupt Crawford’s ability to get into a rhythm as he was able to do at points in his fight against Manny Pacquiao when he won the WBO Welterweight world championship in July of last year. From the outset of the fight it was evident that although the champion came out aggressively in attempting to bring the fight to Crawford as he had against Pacquiao, that it was the challenger Crawford who had an upper hand in catching Horn coming forward and had particular success when the two fighters would engage in exchanges of punches. While Horn was able to have periodic success in landing his right hand during the course of the bout, the difference in timing and Crawford’s hand speed, I felt became the story of the fight. Horn simply could not find an answer to avoid Crawford’s quick hands, ability to counter punch, and overall effective offense. Crawford implemented a systematic approach that eventually took it’s toll on the champion. Crawford’s ability to vary his attack, use precision timing to both get his punches off first as well as counter the majority of Horn’s offense gradually broke the champion down as Crawford would ultimately score a knockdown of the always “Game” Horn in the ninth round and was able to get a stoppage with a follow-up barrage of punches to become the new WBO Welterweight world champion. Following his victory when asked who he would want to fight next in the division, Crawford simply replied that he wanted the other world champions, that he wanted the “Big Fights” and told his promoter Bob Arum to “Make It Happen.” One such champion who also saw action recently was undefeated IBF Welterweight world champion Errol Spence, who defended his piece of the World Welterweight championship against undefeated IBF number three rated Welterweight contender Carlos Ocampo on June 16th at the Ford Center in Frisco, TX. Spence, who was making the second defense of his IBF crown that he won in May of last year by stopping former champion Kell Brook, made short work of Ocampo, landing a flush left hook to the body that sent the challenger down for the count with one second left in the first round. While this title defense for Spence was short, he made just as loud of a statement as did Crawford in his victory over Jeff Horn. An obvious conclusion coming out of these two fights is the potential of a Spence-Crawford showdown. A fight that would frankly bring back similarities to the classic “Super Fights” of the past. Two undefeated world champions both with significant followings, both with the ability to knock an opponent out, and each holding a claim to the World Welterweight championship. While it may appear simple to “Make It Happen” as Crawford told Bob Arum, there are other possibilities that could prevent an encounter between the two happening in the near future as has sometimes been the case with regard to major fights in the past. The most obvious of potential obstacles is both Spence and Crawford are promoted by rival promoters and as such that in itself can be a difficult hurdle to clear. It is also important to remember that there is another world champion to keep in mind, former world champions who will soon be squaring off for a vacated world title, and a bout between a future Hall of Famer and a longtime top contender in the division all of whom may want to interject themselves into the discussion of potential opponents for either champion. The vacated World Boxing Council (WBC) Welterweight world championship will be at stake when former world champions Shawn Porter and Danny Garcia meet in August at the Barclays Center in Brooklyn, NY. The winner of that fight would be a viable option for both Spence or Crawford if a fight between the two is not in the immediate plans. Future Hall of Famer Manny Pacquiao will be getting back into the ring in July against current WBA number one rated contender Lucas Matthysse in a bout to determine interim/regular champion status in the WBA’s Welterweight ratings currently held by Matthysse. The current WBA world champion Keith Thurman, who briefly unified the WBA and WBC crowns in the division by defeating Danny Garcia last year is currently inactive due to both recovering from elbow surgery as well as an injured left hand that forced him to pull out of a scheduled bout on May 19th and saw him relinquish the WBC crown. Thurman, like both Spence and Crawford, is an undefeated world champion who has an exciting style and when he does return to active competition will almost certainly be in the discussion as a potential opponent for either fighter. For a division that has been known as being one of the most competitive in the entire sport as well as for many classic battles throughout Boxing history, we may be seeing what could be the beginning of the next golden era of the Welterweight division, with so many possibilities and fighters at the top or near the top of the division who could each make an argument as being the number one fighter in the weight class. If circumstances such as conflicts between promoters, mandatory title defense obligations, and other things that could prevent a major “Super Fight” from happening, this observer can think of no better way to kick off this era than an encounter between two undefeated world champions to further unify the division, Errol Spence vs. Terence Crawford. Press Release: June 21,2018 by Sanman Promotions - Ernie Sanchez feels like a renewed fighter. And come July 14, Sanchez looks to make a lot of noise in what he considers a fresh start as he battles undefeated Russian boxer Evgeny Chuprakov in Ekaterinburg, Russia. Sanchez and Chuprakov will lock horns in a 10-round duel for the WBO Inter-Continental Super Featherweight belt. Sanchez is keen on putting up an impressive showing in just his second fight under the Sanman Promotions. “I am very excited to have another opportunity to fight abroad. This will be my second fight under Sanman Promotions and I feel like a brand new fighter. New environment, new trainer. I feel like I’m a different fighter now,” said Sanchez. Sanchez said he realized that being part of Sanman Promotions takes a lot of hard work. “It’s also my first time in a long while to have an eight-week camp and that makes me very confident for my upcoming fight,” said Sanchez, who debuted as a Sanman fighter last April 28 that saw him scoring a knockout win over Noel Adelmita. Sanchez faces an uphill battle against Chuprakov, who has yet to lose in 19 fights and has scored 10 knockout victories. Sanchez has piled up 18 wins, nine by knockouts, and has 11 losses. He may possess a not so impressive record but Sanchez cannot be taken lightly, warned Jim Claude Manangquil, CEO of Sanman Promotions. 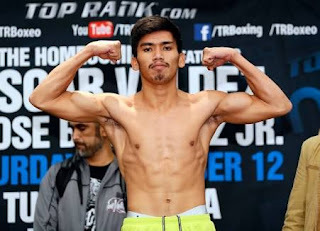 “People might underestimate Sanchez because of his record but we know his ability especially if he is in good shape and in his real weight division of super featherweight, he will be a problem for anybody,” said Manangquil. 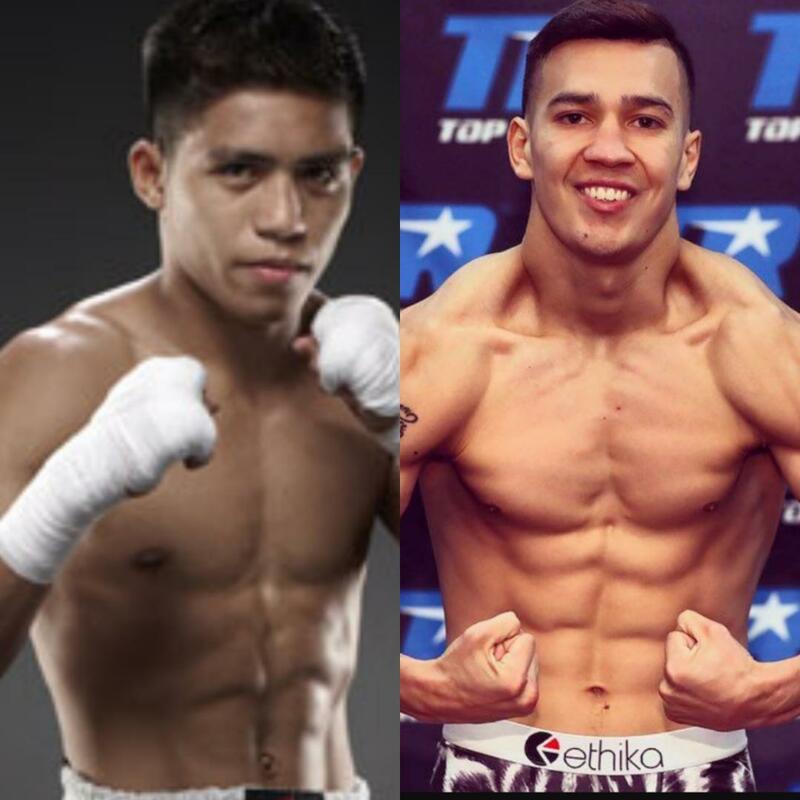 Press Release: June 9, 2018 by Sanman Promotions – Mark Bernaldez will be strutting his wares in the United States when he takes on unbeaten fighter Erick De Leon on July 14th at the Lakefront Arena, New Orleans, Louisiana. The huge break came more than three months after Bernaldez signed up with the General Santos City-based Sanman Promotions. “I am very excited to fight for the first time in the USA,” said Bernaldez, who signed up with Sanman last March. Bernaldez (16W-1L-0D, 11KOs) and De Leon (17W-0L-1D, 10KOs) will square off in a 10-round super featherweight duel on a card promoted by Bob Arum’s Top Rank. “It is every boxer’s dream in the Philippines to fight in the USA especially in a big card with Top Rank. I will do everything to win this fight. I would like to thank Sanman boxing for this big opportunity and I will train very hard for this,” said Bernaldez, who fought for ALA Boxing Gym before joining Sanman. Bernaldez last saw action in April 28 that saw him knocking out JP Macadumpis in Glan Saranggani, Province. The impressive win marked the end of Bernaldez’s long hiatus as that was his first fight since losing to Tsuyoshi Tameda via technical knockout on August 5, 2018 in Japan. While his next fight is against an undefeated fighter, Sanman Promotions CEO Jim Claude Manangquil is upbeat of Bernaldez’s chances. “I think this is a very winnable fight for Bernaldez. Erick De Leon is a great fighter but I think his style is suited for Mark,” said Manangquil. Material and Photo courtesy of: Sanman Promotions Used with permission. For more information about Sanman Promotions and to watch the Sanman Live Boxing series please visit Sanman Promotions’ official Facebook page:www.facebook.com/SanmanPromotions. 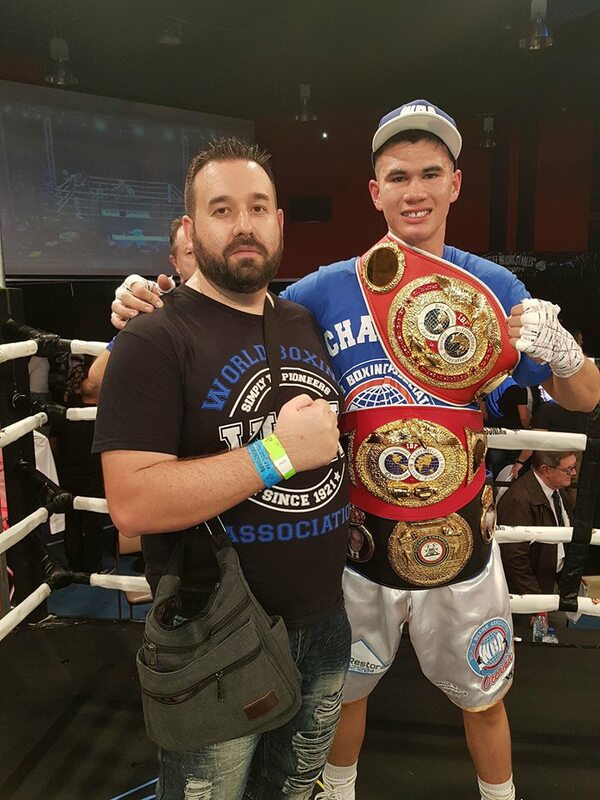 Press Release: June 5, 2018 by Dragon Fire Boxing – WBA #2, WBO #3, IBF #11, WBC #11 ranked Jason Moloney (current WBA Oceania and Commonwealth Bantamweight Champion) has signed a multi-year managerial deal with Dragon Fire Boxing as he inches his way closer to a world title opportunity. “Dragon Fire Boxing has guided my career to absolute perfection. Before I turned professional I was always warned that it was extremely important to make sure that I had the right people looking after me and honestly, I couldn’t be happier. From the very beginning the direction has been clear; as I have continued to improve so have my opponents. Each fight has been a step up and presented a tougher test than the previous fight which has allowed me to learn and properly develop as a fighter while being tested along the way. Two fights ago I fought a solid world title challenger (Immanuel Naidjala) who had never been stopped; I was able to pass that test and stop the opponent within 3 rounds. We then moved on to a tougher test in a former two time World Champion (Kohei Kono) and I was again able to stop this opponent inside the distance. Now we plan to step up yet again and we hope to take on one of the current World Champions. It is my dream to become World Champion, my team and I have worked very hard to make this happen, and right now I believe we are ready! The way that Dragon Fire has brought me along and continued to test me with a constant progression of challenging opponents means that I am now confident that we are ready to take on the best in the world and I believe we are good enough to beat them. The ultimate goal is not only to become World Champions but to stay World Champions, unify the division, and defend our titles over a long period of time.” Says Moloney. “It has been a joy to work with Moloney since 2015, you couldn’t ask for a better person in and out of the ring. He embodies the same 3 D’s that Chris John lived by: dedication, discipline, and determination. 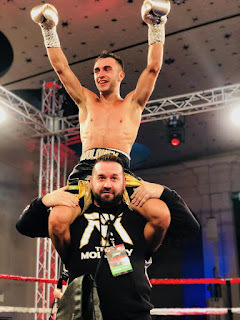 Coming fresh off the six round demolition of former two time World Champion and Japanese legend Kohei Kono, Jason Moloney proved he is the next superstar of world boxing and we have big things coming up for Jason that we are hoping to release very soon.” Said Tony Tolj, Dragon Fire Boxing manager. “We are now at a very exciting stage of my career and very close to achieving my dream of becoming World Champion. I want to thank everybody who has supported me along the way and helped me get to this point in my career. I am extremely lucky to have such amazing support. I hope to make you and all of the country proud by becoming Australia’s next World Champion.” Says Jason “The Smooth One” Moloney. Material Courtesy of: Dragon Fire Boxing/ Photo Courtesy of: Brock Ellis Used with permission.